Last week, I hiked Koko Head Crater early in the morning! It is estimated at 1.5 miles round-trip from the parking area and there are nearly 1050 steps to get up to the top. In order to get prepared properly, I have summarized a few important suggestions to hike Koko Head Crater on Oahu. 1. Put on sturdy shoes! – The climb can be really dangerous if you wear sandals or open shoes. I recommend to put on hiking shoes or sneakers to hike Koko Head Crater. 2. Have enough water! – You should always take enough water with you as it takes 30 to 60 minutes to get to the top of Koko Head Crater and you also have to take your time to climb down again. It is very important to drink a lot of water due to the high temperatures in Hawaii. 3. Get up early in the morning! – I would recommend to climb Koko Head very early in the morning at sunrise, as temperatures are getting very high during the day. At the top, enjoy a breathtaking view as long as you can but if you want to climb down before sunset, watch out for the trail. It can be dangerous even during daylight. 4. Don’t run too fast! – You’ll see people who can climb the Koko Head trail at a very fast speed, but they probably are very well trained to do so. You are not used to this kind of walk, therefore go slowly. If you get exhausted, take a break and sit down on the steps. 5. Bypass the bridge! – There is a bridge right around the 500th stair. If looking down makes you queasy, you can hop off the railway to the path around the bridge that can be found on the right. Otherwise, cross with care. 6. Don’t give up! – At some point I told myself: “Do I really have to go all up to the top?” Well, I made it and I have to say: “It was worth it!” You can see Hanauma Bay and Waikiki beach from the top of Koko Head. The view is indeed breathtaking! 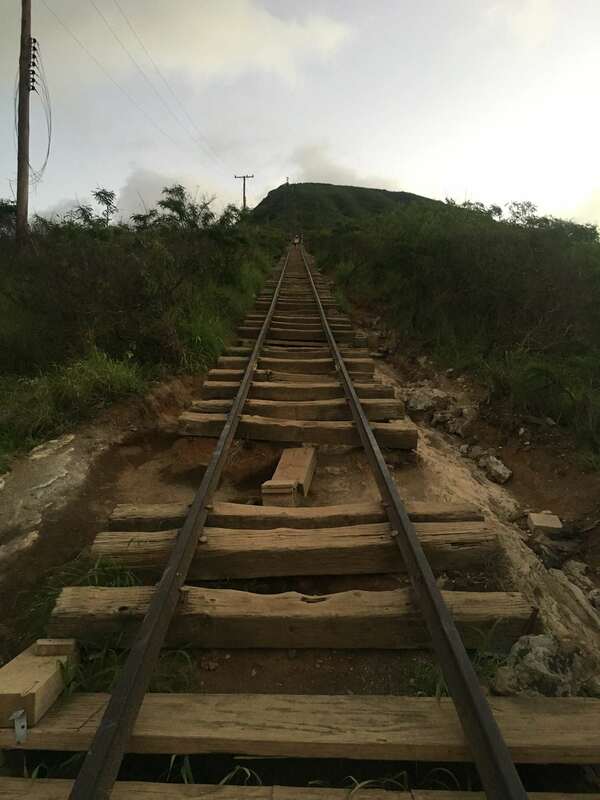 Want us to take you up Koko Head? 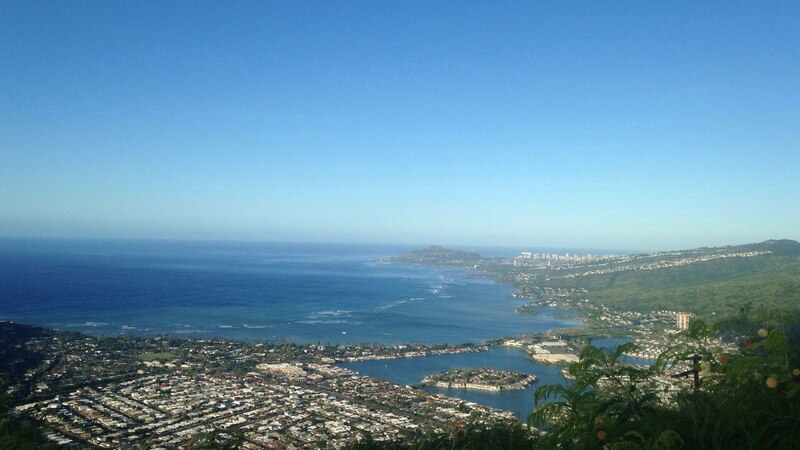 Book a Koko Head Hike Tour with DanielsHawaii! Previous articleVolcanic Eruption Hawaii Big Island – Cancel Hawaii Vacation?